James Krenov's delicate, lyrical cabinets have inspired a generation of wood craftsmen, as has his impassioned insistence that one do his very best work, no matter what. 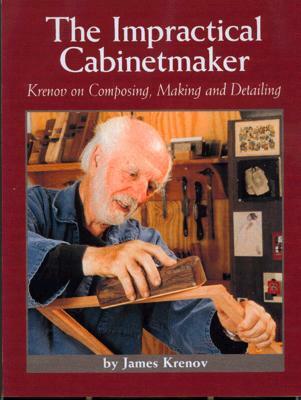 In this volume, first published in 1979, Krenov invites the reader into his workshop, where he shares his techniques and uncompromising approach to craftsmanship, along with thoughts about his work and its place in the world. Photo sequences show how Krenov composes a cabinet directly in the wood, without dimensioned drawings. He also discusses working with shop-sawn veneers, the technique of fitting curved doors, and the problems of accuracy and mistakes. The book concludes with a detailed exploration of three furniture projects: a curved showcase cabinet, a writing table with drawer, and a chess table.